I’d had exposure back in the earlier days with GSX and ESX Server through David Manconi (@dmanconi), when we worked together previously. I remember he was pretty excited about it, so I figured there must be something to it 😉 But I didn’t really have the opportunity to pursue it professionally until late 2009 when I became involved in a large data centre migration project which included establishing an SRM enabled ESXi 3.5 infrastructure. I had heard about it through my go-to places like Yellow-Bricks, as I tried to soak up as much as I could about virtualisation. It wasn’t until I was fortunate enough to spend some time with Michael Webster (@vcdxnz001), who had just achieved his and, later in 2011, Travis Wood (@vTravWood) who was so excited to be pursuing it that I started to understand the level it represented. When I joined ViFX I realised the calibre of people I was fortunate enough to be working with and felt I really needed to lift my game. It’s been such a gradual, incremental process it’s hard to pinpoint exactly when it started in earnest. If I measure from obtaining the VCP5-DCV in September 2012, it took almost three years. It became a realistic goal after joining ViFX in August 2013 though. It’s not a race 🙂 Each qualifying exam (VCP, VCAP DCA/DCD) are challenging in their own rights. Focus on the immediate, realistic goals and you’ll find your capabilities grow significantly through those achievements. When you’re at the point where you can submit the design: read the blueprint. Everyone says that, and I must admit I’d get a little frustrated at hearing it so often, but it’s true. Read it, understand it as best you can and make sure you touch on all the points. I’m not sure I would do it too differently. The design I based it on was light on some components of the blueprint requirements, due to certain constraints and challenges, which meant some extra work was required on my own time. While working on that project I completed a few others in between that were more “blueprint-friendly”, in BC/DR and vBCA Oracle based engagements, but this was the one I had invested myself into with the goal in mind so I was determined to use it all the way through. It’s only been a week, so it’s early days yet 😉 ViFX are extremely proud to have the 2nd VCDX in New Zealand, and the only one in the VMware partner space. We definitely have more VCDX’s in progress – watch this space! Categories: Certifications, VCAP, VCDX, Virtualisation, VMware | Tags: VCAP, VCDX, Virtualisation, virtualization, VMware | Permalink. About six months ago I was approached by VMware SMB asking if i would be interested in writing a blog posting about how implementing a business continuity and disaster recover solution could help small and midsized businesses from my experiences as a senior consultant for Xtravirt. I wrote up the posting and the SMB team liked it so much they asked me if I would do a four part blog posting from the original blog posting and so I created a four part posting and the final part of the series was published yesterday. So below are links to the four blog postings and I hope they are informative and beneficial to people. If you are unsure about any of the portions mentioned or want to know more, you can ask VMware Professional Services or Xtravirt who are a VMware partner, to come in and help you with the design/configuration of your environment. I have also written a whitepaper for VMware SMB around the need for SMBs to rethink their virtualization infrastructure and to elaborate on a number of the features and solutions that are now available to SMB customers. Download the whitepaper to learn how these solutions can help your business and your customers. Categories: Virtualisation, VMware | Tags: BCDR, business continuity, disaster recover plan, SMB, Virtualisation, virtualization, VMware | Permalink. 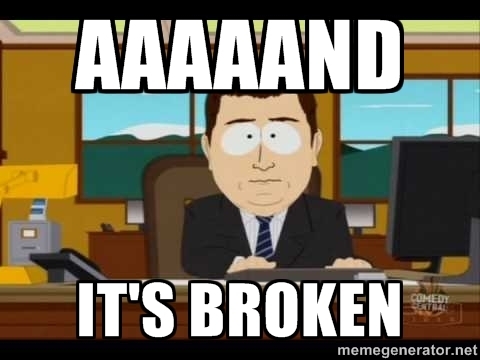 Started leveraging it when the company I worked for started a P2V project in 3.X days. The desire to become the first VCDX at my company, and a little bit of notoriety as well. Start to finish, it probably took me 6 months. Writing that documentation definitely took several full Saturdays at the office. DO IT. You will learn more than you ever imagined, pass or fail. Get ready for a rough period of time however, you will be consuming a lot of personal time. Thinking back, I probably would have perhaps relaxed on my documentation a little, but that’s only because I think I perhaps did too much. For example, I literally spelled out every single design consideration and rationale that I encountered with a full pros and cons matrix. That may have been a little over the top, but hey, it sure helped me make sure I knew why I had decided something. The VCDX was a definite “market value adjustment” talking point in my yearly review. It also started a domino effect, and we now have 2 other VCDXs at the company in total, with several more studying currently for 2015 defenses. Completely worth it, highly recommend. It’s been more than a decade of my adventure and journey with VMware and Virtualization. I started using VMware workstation as a customer in 2004 when I was working for Safenet. One day I got a call from a recruiter hiring for EMC2 in their project team which was working on VMware products. At that time VMware was not an independent company in India and it was still under the banner of EMC2. I was so impressed by Workstation back then that I decided to go ahead and joined them in 2005 then I moved from New Delhi to Bangalore. I spent around 8 years working in 3 different teams of VMware in two stints. The most recent was as a Senior TAM where I was leading the TAM practice for India and SAARC before joining Nutanix. For me it was about the next level and being a better technical person in the journey. When I look back at my journey I think it was all well worth the effort. The roots of my journey dates back to 2009 when VMware launched the advanced exams for VCDX. I was working in VMware R&D back then as Lead in the CPD team. 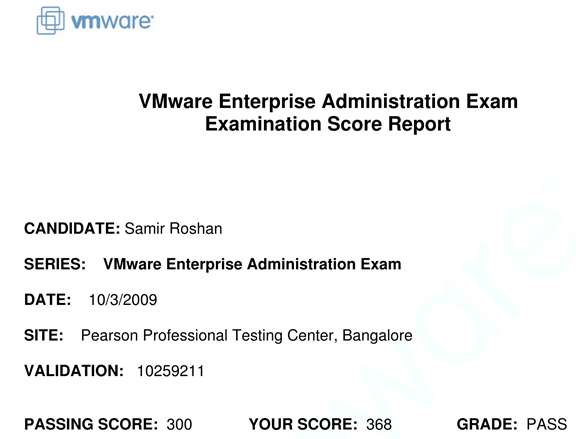 My curiosity in the exam was due to the fact that it was the next level in VMware cert having achieved VCP and VCI I thought to conquer this exam. So I decided to take the exam on 3rd October 2009 and I got my results 17 days later with a score that I passed. I was very serious about getting VCDX that I decided to leave my excellent job in VMware R&D and moved to IBM Software Labs in a consulting role. I knew that I can’t do VCDX without having a consulting/design experience. However I couldn’t pursue other necessary certification for next 2 years. Then in 2011 an excellent opportunity again knocked on my doors, I got a call for a position of Senior Consultant in VMware PSO when VMware started their consulting business in India. I grabbed the opportunity and started as the first consultant in the VMware PSO India team. This was an excellent platform for me to start the journey again but at this time the VCDX was at version 4. 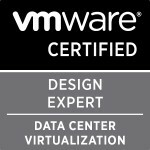 I needed to take the same journey again so I cleared VCP 4, VCAP DCA, and VCAP DCD. I couldn’t focus on creating a VCDX proof design in that time period. Then VCDX5 was announced and I thought lets do it on version 5, same process again, I cleared all the prerequisites and then started working on my design. This time I got it through; I paired with one of my colleagues Shankar Garikapati for the design and then we both submitted our design. It took 5 months from completing all the prerequisites, working on the design and then clearing the Defense. Don’t loose the sight on the goal, even though it’s the toughest and will take a longer time. Remember there is no glory in achieving something simple and timid. When you feel like quitting remember why you started. VCDX is such a goal and you need to be prepare well, you have to pace yourself through the journey. You have to make sure that you are not burning yourself through the process it’s all about learning at each and very step. I would not change anything much. I did what I could do best by keeping my work life balance. I didn’t burn myself and was able to spend time with my family and my newborn Son. I was fortunate enough to pass in my first attempt and I am thankful to my family for that. Being the first VCDX in India was a special feeling for sure. I can’t forget the below message on 4th Nov 2013 by Mark Brunstad. The first thing I did was to touch the feet of my Mother/Father for their blessings and thanked God (It’s an Indian thing you can say ;-)). VCDX is worth every second, every minute every hour, every day that you spent on doing it. The VCDX process changed my perspective on many things, made me aware of my strengths and weaknesses. Made me a confident person, again it’s not the tag it’s the whole journey that’s matter.